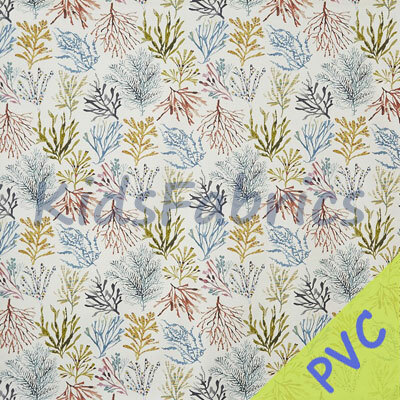 Coral - Tropical PVC fabric. 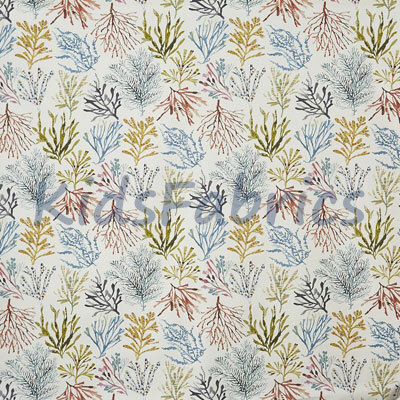 Easy to wipe PVC coated fabric for table tops, aprons, play mats etc in a marine theme. 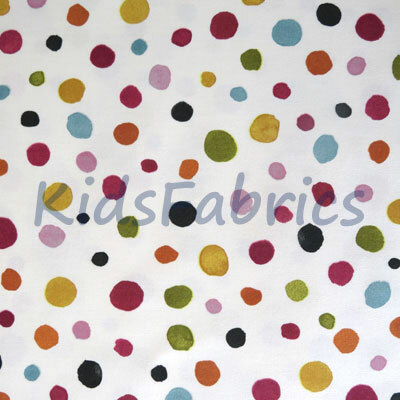 Petrol blue, pink, ochre and aqua coral colours on an ivory background. 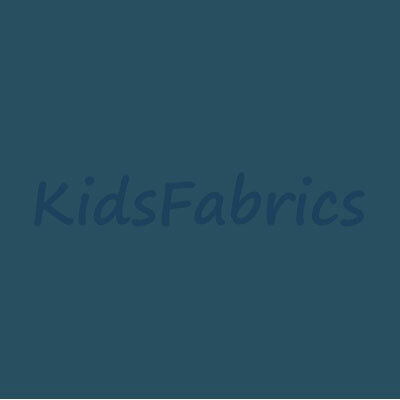 Please Note: PVC swatches may not be available - fabric equivalent will be substituted with an example of a PVC fabric.